PVDF Diaphragm Valve union type is a kind of Plastic Diaphragm Valve with true union end socket fusion connection. this valve is connected by fusion welding, it is easy to replace and maintenance the valves. 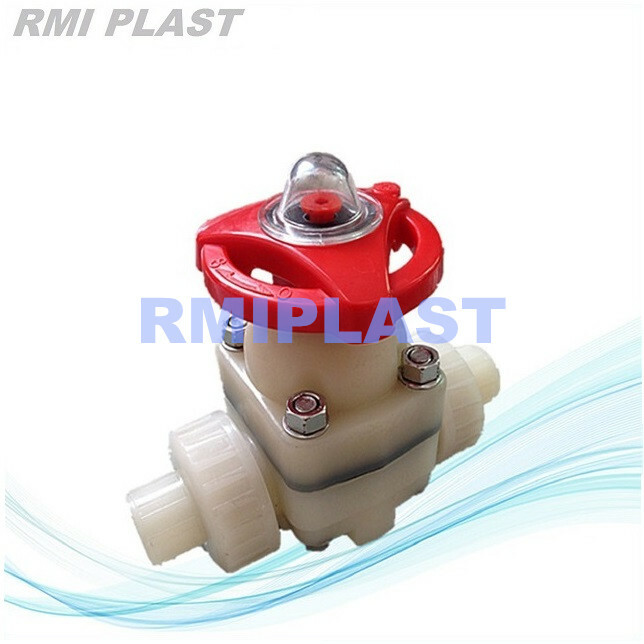 except the connection this model RPV113A Diaphragm Valve is same structure with flanged diaphragm valve, socket type PVDF diaphragm valve is suitable for small size PVDF pipelines size below 63mm. Body and diaphragm that touch medium are made from plastic and rubber. Union end connection easy to install and replace of valve. EPDM cushion protect the PTFE diaphragm from over tighten, make sealing better. Strengthen design of bonnet and body make the valve stronger and sealing better. Molded bottom stand for simple mounting to the supportor. Pneumatic actuator mounting is available. Looking for ideal True Union Diaphragm Valve Manufacturer & supplier ? We have a wide selection at great prices to help you get creative. 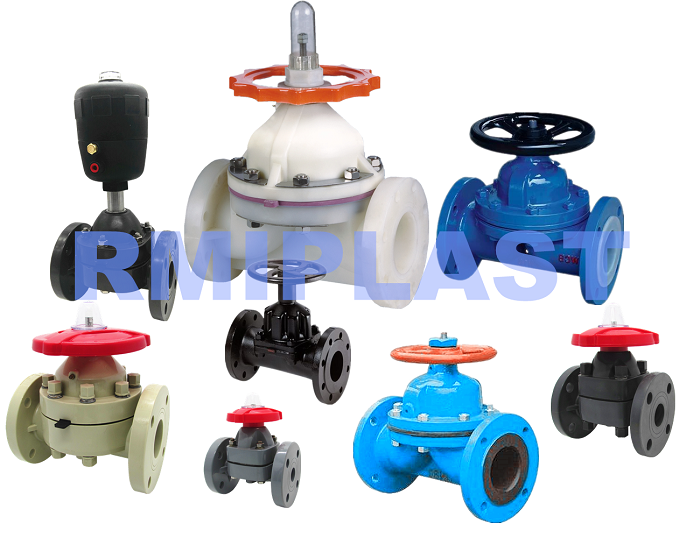 All the PVDF Diaphragm Valve Union are quality guaranteed. We are China Origin Factory of PVDF Diaphragm Valve Union End. If you have any question, please feel free to contact us.